The International Conference on Graphene and Semiconductors is to be held at Chicago, Illinois, USA during July 17-18, 2017 Organized by Conference Series LTD. It will bring together world-class professors, researchers, scientists and students across the world to discuss about the current developments that are taking place in the field of Graphene. Graphene and semiconductor is designed in such a way to provide diverse and current research that will provide an in-depth analysis in that field. The International Conference on Graphene and semiconductor is organized with a theme of “The Rising Era of Graphene” with an objective to encourage young minds to overcome the challenges in the research field of Graphene materials by providing an opportunity to meet the experts. Graphene is an allotrope of carbon.It is made of a single layer of carbon atoms that are bonded together in a repeating pattern of hexagons.It is a is a thin layer of pure carbon it is a single, tightly packed layer of carbon atoms that are bonded together in a hexagonal honeycomb lattice. Semiconductors are crystalline or amorphous solids with distinct electrical characteristics.They are of high resistance and higher than typical resistance materials, but still of much lower resistance than insulators. Graphene is the thinnest strongest material in nature. This element is important because it may function as conductors, semiconductors, as well as insulators.Fullerene, graphene, and graphite are a few of the most important allotropes of carbonthat exist in nano scale dimensions, and all three have unique physical, material, and chemicalproperties. Fullerene, graphene, and graphite are all highly stable molecules due to the highactivation barrier caused by the structural arrangement. The three types of carbon can be achieved by restricting different dimensions. It can be rolled to form one dimensional nano tube,wrapped to form a zero dimensional fullerene, and it can be stacked in multiple layers to form three-dimensional graphite.The extraordinary chemical and thermal properties of Graphene are due to several factors. It is a chemically inert molecule. In the delocalized orbitals, electrons are free to move and therefore suffer very little energy dissipation, and there is no energy gap. The physical properties of Graphene is very significant because of its better conductivity and stability. Semiconductor devices can be mainly used to display a range of useful properties such as passing current more easily in one direction than the other, showing variable resistance, and sensitivity to light or heat.The electrons in semiconductors can have energies only within certain bands between the energy of the ground state, corresponding to electrons tightly bound to the atomic nuclei of the material, and the free electron energy, which is the energy required for an electron to escape entirely from the material.The problem that prevented graphene from initially being available for developmental research in commercial uses was that the creation of high quality graphene was a very expensive and complex process that involved the use of toxic chemicals to grow graphene as a monolayer by exposing Platinum, Nickel or Titanium Carbide to ethylene or benzene at high temperatures.The event has the objective of creating an international forum for academics, researchers and scientists from worldwide to discuss worldwide results and proposals regarding the soundest issues related to Graphene and Semiconductors. It will include the participation of renowned keynote speakers, oral presentations, posters sessions, Exhibitors, Sponsors and technical workshops. International Conference on Graphene and Semiconductors-2017 which is going to be the biggest conference dedicated to Graphene providing a premier technical forum for reporting and learning about the latest research and development along with discussing new applications and technologies. It allows delegates to have issues addressed on Graphene by recognized global experts who are up to date with the latest developments in the field of Graphene and Semiconductors and provide information on new techniques and technologies. This International Materials Science conference will feature world renowned keynote speakers, plenary speeches, young research forum, poster presentations, technical workshops and career guidance sessions. Meet Your Objective Business sector With individuals from and around the globe concentrated on finding out about Graphene and Semiconductor, this is the best chance to achieve the biggest collection of members from everywhere throughout the World. Conduct shows, disperse data, meet with current, make a sprinkle with another product offering, and get name acknowledgment at this occasion. Widely acclaimed speakers, the latest methods, strategies, and the most up to date overhauls in Graphene and Semiconductor, are signs of this meeting. Conference Series LTD Conferences invites all the participants from all over the world to attend International Conference on Graphene and Semiconductors during July 17-18, 2017 at Chicago,Illinois,US which includes prompt keynote presentations, Oral talks, Workshops, Poster presentations and Exhibitions. Theme of the Graphene and semiconductors conference is The Rising Era of Graphene with an objective to encourage young minds and their research abilities by providing an opportunity to meet the experts in the field of Engineering. 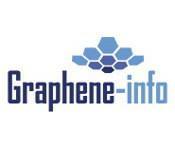 Graphene and semiconductors are designed to explore various applications in different fields. 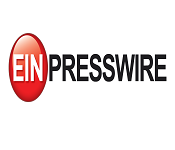 Conference Series LTD organizes a conference series of 3000+ Global Events with over 600+ Conferences, 1200+ Symposiums and 1200+ Workshops in USA, Europe & Asia with support from 1000 more scientific societies and publishes 700+ Open access journals which contains over 30000 eminent personalities, reputed scientists as editorial board members. Graphene an important Nano sized material, become an exciting two-dimensional material with distinct attributes in the fields of physics, chemistry, biology and medicine, as well as their related interdisciplinarities. Chemical and biological sensor based on graphene field effect transistor, a single layered of graphene prepared by mechanical cleavage of natural graphite. A systematic nomenclature for this set of graphene-Family Nanomaterial’s, specific materials relevant for bimolecular and cellular interaction. The bio-active molecule/graphene conjugates and the opportunities for the design of multi-functional tools for synthetic biology. Related Conferences: Conference on Plasma Chemistry 2017, South Africa, 2nd Annual Conference on Biomaterials March 27-28, 2017 Spain, Polymer Science Conferences, May 8-9, 2017 Barcelona, Spain, International Conference on Graphene Nanotechnology August 14-15,2017 UK, International Conference on Functional Energy Materials December 07-09,2017 USA, International Conference on Nanotechnology July 25-28,2017 USA, Conference on Chemistry of Two-Dimensional Materials, August 22-26,2017 Amphi Ourisson , Conference on Graphene Forum April 26-28,2017 France. 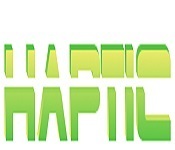 Material Research Society, Nanotechnology Association(NIA) . Related Conferences: 8th International Conference On material Science and Engineering May 29-31, 2017 Japan, International Conference on Functional Energy Materials December 07-09, 2017 USA, Polymer Science Conferences, May 8-9, 2017 Barcelona, Spain, International Conference on Biomaterials March 27-28,2017 Spain , International Conference on Industrial Diamond May 14-15,2017 Netherlands, Exhibition in Graphene and 2D materials March 28-31,2017 Spain, International Conference on Advanced Material and Nanotechnology February 12-15,2017 New zealand, Conferences on Materials Research August 20-25,2017 Mexico . 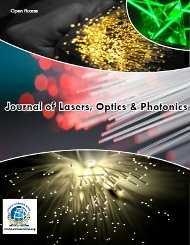 International Associations of Nano Technology (IANT) , American Chemical Society(ACS) . Graphene-enchaned lithium ion batteries could be used in higher energy usage applications now in smartphones, laptops and tablet PCs. Graphene has a great potential to use for low cost, flexible and highly efficient photovolatics devices due to its excellent electron-transport properties and carrier mobility. Single or few layered graphene with less agglomeration, exhibit a higher effective surface area and better supercapictor. In hydrogen storage, hydrogen plays an important role in energy carriers. As a fuel of choice it is light weight, contains high energy density and emits no-harmful chemical by-products, hydrogen considered as a green energy. Related Conferences: International Conference on Functional on Energy Materials December 07-09, 2017 USA, Conference on material Science and Engineering May 29-31, 2017 Japan, Polymer Science Conferences, May 8-9, 2017 Barcelona, Spain, World Congress on Material Science and Engineering June 12-14, 2017 Italy, International Conference on Ceramics and Composite materials June 29-30, 2017 Spain, Conference on Graphene and other 2D materials May 10-11,2017 Germany, Conference on Graphene March 28-31,2017 Spain, Conference on Graphene Forum April 26-28,2017 Paris. 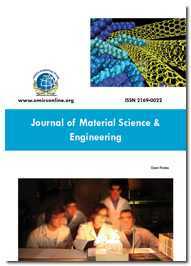 American Association for advancement of science, ASME Nanotechnology Institute. Graphene oxide has excellent characteristics as a nanomaterial for drug delivery. It expands for anticancer drugs to another non-cancer treatment diseases treatment. Using the fluorescence super-quenching ability of graphene to develop novel fluorescence resonance energy transfer biosensors. Cancer therapy made on exploration of graphene in drug delivery by in vitro test. 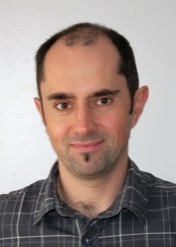 For clinical cancer and other disease treatment, vivo behaviour of graphene loaded with drugs. Related Conferences: International Conference on Biomaterials March 27-28, 2017 Spain, 9th World Congress on Material Science and engineering June 12-14,2017, Polymer Science Conferences, May 8-9, 2017 Barcelona, Spain, 3rd International Conference on Ceramic and Composite Materials June 29-30,2017 Spain, Conference On Materials Research February 20-21,2017 Germany, International Worshop on Nanotechnology June 6-9,2017 Uk, Conference on Graphene and 2D materials May 10-11,2017 Germany. 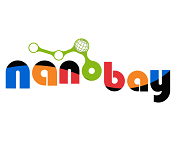 American Nano society, Graphene Stakeholders Association (GSA) . Wide band gap to higher-energy electronic band gaps, difference in energy levels that creates the semiconductor action. Organic semiconductors are pi-bonded molecules made up of carbon and hydrogen atoms. They exist in amorphous thin films. Quantum dots are Nano scale particle of semiconducting material that can be embedded in cells. Larger quantum dots emits longer wavelength in emission colour and short quantum dots emits shorter wavelength in colour. Related Conferences: International Conference On Composite Materials June 29-30,2017 Spain, 9th World Congress On Materials Science and Engineering June 12-14,2017 Italy, Polymer Science Conferences, May 8-9, 2017 Barcelona, Spain,8th International Conference On Material Science and Engineering May 15-17,2017 Japan, Conference On Material for Advanced Technology June 18-23,2017 Singapore, Conference on Compound Semiconductor October 22-25,2017 USA, International Conference on Photonics February 27-28,2017 Israel,Materials Research Society of Singapore , Semiconductor Society of India. Graphene, the two-dimensional crystal of carbon, has many extraordinary properties and characteristics which are either unique or surpass those of other materials. The fundamental properties of graphene are making it an attractive material for a wide variety of applications. And a potentially disruptive technology, is all the properties that are combined into one material like strong, flexible, transparent, and an excellent conductor of both heat and electricity - make it ideal for a wide range of real-world applications in areas such as electronics, biomedicine, energy and composites, The uptake of graphene will be driven by confidence in its performance and progress in its production with properties appropriate for specific application. A semiconductor is a substance, usually a solid chemical element or compound, that can conduct electricity under some conditions but not others, making it a good medium for the control of electrical current. Its conductance varies depending on the current or voltage. The specific properties of a semiconductor depend on the impurities, or dopants, added to it Elemental semiconductors include antimony, arsenic, boron, carbon, germanium, selenium, silicon, sulfur, and tellurium. Silicon is the best-known of these, forming the basis of most integrated circuits (ICs). A semiconductor device can perform the function of a vacuum tube having hundreds of times its volume. Operating Committee invites all the participants across the globe to attend the International Conference and Exhibition on Graphene and Semiconductors on July 17-18, 2017, Chicago, Illinois, USA. Graphene-2017 covers a broad range of topics to discuss on this international platform by conducting keynote lectures, plenary speeches, workshops and poster presentations. Graphene -2017 is designed to explore the implications of Graphene and Semiconductors. Graphene is the thinnest strongest material in nature. This element is important because it may function as conductors, semiconductors, as well as insulators .Fullerene, graphene, and graphite are a few of the most important allotropes of carbon that exist in nano scale dimensions, and all three have unique physical, material, and chemical properties. Electricity flows very quickly through the simple honeycomb sheet. Most conductors we encounter are metals, yet graphene is based on carbon, a nonmetal. Semiconductor devices can be mainly used to display a range of useful properties such as passing current more easily in one direction than the other, showing variable resistance, and sensitivity to light or heat. The electrons in semiconductors can have energies only within certain bands between the energy of the ground state, corresponding to electrons tightly bound to the atomic nuclei of the material, and the free electron energy, which is the energy required for an electron to escape entirely from the material. 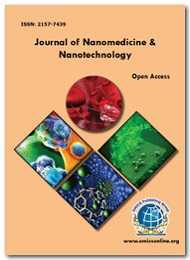 Graphene-2017 covers the area of Graphene Synthesis,Chemistry and biology studies of graphene,Graphene modification and functionalization,large scale Graphene production and characterization,Applications of Graphene in energy,Applications of Graphene in Biomedical,Semiconductors,SemiconductorMaterialsandNanostructures,Organic/InorganicHybridSemiconductors and Perovskites, Carbon Nanotubes and graphene, Quantum optics and Nano photonics in Semiconductor , Enterperneurs investment meet. Chicago is among the largest cities in the U.S. Famed for its bold architecture, the population of the city is 2,695,598 and rank 3rd largest city in US. Chicago had the third largest gross metropolitan product in the United States at US$571billion. With over 2.7 million residents, it is the most populous city in the state of Illinois and the Midwest. The city has many nicknames, which reflect the impressions and opinions about historical and contemporary Chicago. The best-known include the “Windy City” and “Second City”. Chicago has professional sports teams in each of the major professional leagues. The city’s waterfront location and nightlife has attracted residents and tourists alike. Over a third of the city population is concentrated in the lakefront neighborhoods of Rogers Park in the north to South Shore in the south.The nature lovers are not to be disappointed for this place has something in store for everybody. Animal lovers will love the Lincoln Park Zoo, the Brookfield Zoo, the Garfield Park Conservatory and the Lincoln Park Conservatory should satiate the eyes of those looking for some quiet enjoyment. Culturally very sound, this city offers you the best of African American, Asian and Latino cultures. Since it was the home of the Great Migration of the early 20th centuary, you will get to experience the cultural revival of the Harlem Renaissance. This city has a century old history of holding the most jazz musical shows, which you can still get to hear the city’s many night clubs. Not just music, this place also has a lot to say about the culture of African Americans. The DuSable Museum has more than 15000 artifacts and the Bronzeville Visitor Information Center and the Gallery Guichard gives the pleasure of viewing many art galleries of both nationally and internationally renowned artists. International Conference on Graphene and Semiconductors which is going to be the biggest conference dedicated to Graphene providing a premier technical forum for reporting and learning about the latest research and development along with discussing new applications and technologies. It allows delegates to have issues addressed on Graphene by recognized global experts who are up to date with the latest developments in the field of Graphene and Semiconductors and provide information on new techniques and technologies. This International conference on Graphene and Semiconductors will feature world renowned keynote speakers, plenary speeches, young research forum, poster presentations, technical workshops and career guidance sessions. Meet Your Objective Business sector With individuals from and around the globe concentrated on finding out about Graphene and Semiconductor, this is the best chance to achieve the biggest collection of members from everywhere throughout the World. Conduct shows, disperse data, meet with current, make a sprinkle with another product offering, and get name acknowledgment at this occasion. Widely acclaimed speakers, the latest methods, strategies, and the most up to date overhauls in Graphene and Semiconductor, are signs of this meeting. overjoyed with the experience.I do express my heartfelt gratitude to all conference organizers. Having chaired many conferences and sessions, I know how much work it is to look after the fine details and keep participants on track and communicative. Everyone, from business leaders to students, suffers from Gratitude Deficit Disorder. We are all hungry for genuine appreciations. It can turn a meal into a feast, a house into a home, and a stranger into a friend. Gratitude can transform common days into daily Thanksgivings, turn routine mundane work into happiness, and change ordinary opportunities into divine blessings. The Gratitude turns denial into acceptance, chaos into order, confusion into clarity, making sense of our past, bringing peace for today, and creating visionary tomorrow. I hope your vision for Graphene2018 is as great in the financial capital of the World.